Hand mixers are a handy kitchen tool. And whether you're a seasoned restaurant chef or an occasional at-home cook, there is a mixer that is right for you. To help narrow your choices, the ReviewLab team did extensive research on mixers, considering factors like power, speed settings, durability and others. We created this curated list of hand mixer recommendations based on our findings. Browse light-duty mixers, standard home mixers, heavy-duty mixers and other options. And if you want to learn more about hand mixers in general, check out our helpful buying guide below. Read more about our methodology. With nine speeds powered by an impressive motor, the Cuisinart HM-90S offers a versatile and flexible solution for your mixing needs. It also features a convenient storage container where you can store the variety of attachments that are included with this hand mixer. The Hamilton Beach 62682RZ is the perfect hand mixer for people looking for a budget option that also offers an impressive range of flexibility. This mixer includes six speeds and an impressive 250-watt motor, along with snap-on storage and a QuickBurst button for added functionality. The Proctor Silex 62507 provides just the right amount of power for the chef who doesn’t need a ton of firepower to get things done in the kitchen. With five speeds and a 100-watt motor, this hand mixer works great for lighter jobs. If you’re looking for a hand mixer that can handle most everything that’s thrown at it, take a look at the KitchenAid KHM512HT. This mixer has five speeds and a adequately powered motor to provide a reliable experience every time you use it. The Oster 2500 Inspire doesn’t pull its punches. It’s competitively priced for a heavy-duty mixer. 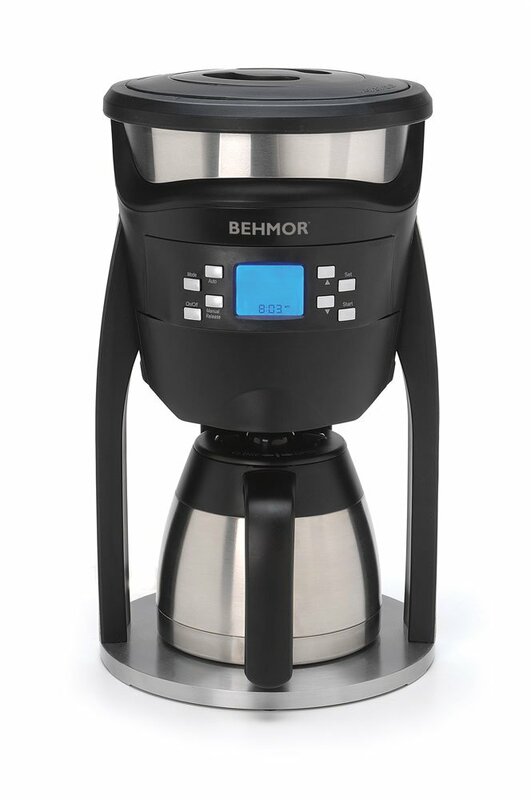 You can expect a lot of power from its 240-watt motor and Burst-of-Power feature, which gives you that extra boost you need when mixing heavy ingredients. Immersion hand mixers are jam-packed with features, and they’re powerful, to boot. The Aicok Immersion Hand Blender Mixer offers 4-in-1 functionality, acting as a blender, mixer, processor, and storage container. It also has a whopping 350-watt motor for increased mixing power. The power a hand mixer puts out is largely determined by the wattage of its motor. A higher wattage means a more powerful motor, which allows you to mix heavier ingredients. If you don’t mix a lot of heavy ingredients, you likely won’t need to purchase a hand mixer that has a motor with a high wattage. While hand mixers serve a single purpose—to mix ingredients—you’ll want to consider how much flexibility your mixer has. This most often comes in the form of different mixing speeds, but there are also different features to consider. Most mixers have at least three different mixing speeds, but higher-end mixers will offer more speeds. You should also consider what attachments are included with the mixer. More expensive hand mixers tend to be built from higher-quality materials, meaning they’ll hold up over the long run, but that doesn’t mean you can’t find well-built budget mixers. Kitchen space can get limited sometimes, so it’s important you purchase appliances that you can easily store or tuck away. Hand mixers by nature are smaller than most other kitchen appliances, but many still offer convenient storage options so your attachments don’t scatter. For less than $30, you can get a budget hand mixer. These hand mixers typically offer smaller motors than their more expensive counterparts and usually have fewer mixing speed options. The mixers you can purchase in the $30-50 range will satisfy the needs of most consumers and typically offer a motor with a wattage high enough to handle most ingredient mixing. The mixing speed settings in this range still vary, but they tend to offer more flexibility. The higher-end mixers, above $50, offer more mixing speed options, more powerful motors, and extra features like power boost buttons. The Cuisinart HM-90S is a versatile and powerful hand mixer that offers an incredible range of nine mixing speeds powered by a 220-watt motor. It also includes greater flexibility with three low-start speeds that help prevent splattering. This hand mixer makes a great choice for most kitchens. Impressive range of mixing speeds. 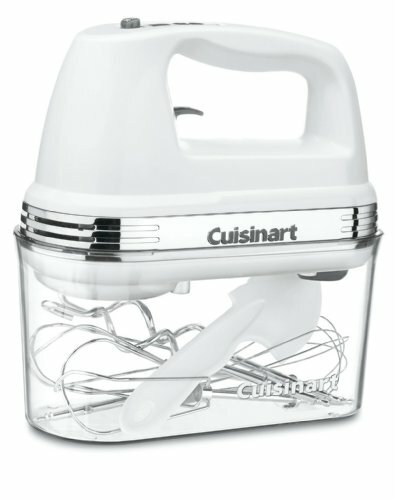 The Cuisinart HM-90S is one of the most versatile hand mixers you can buy because of its nine different mixing speeds. This gives you more flexibility to control exactly how you mix your ingredients. It even includes three low speed options that help you prevent your ingredients from splattering when you first start mixing. Powerful. This hand mixer is powerful with its 220-watt motor. This is enough power to handle most mixing, including some heavy duty mixing like dough and cream cheese, without the whining that some motors exhibit. Range of accessories. You can expect more flexibility with your mixing with the Cuisinart HM-90S because of the range of attachments that comes with the unit. 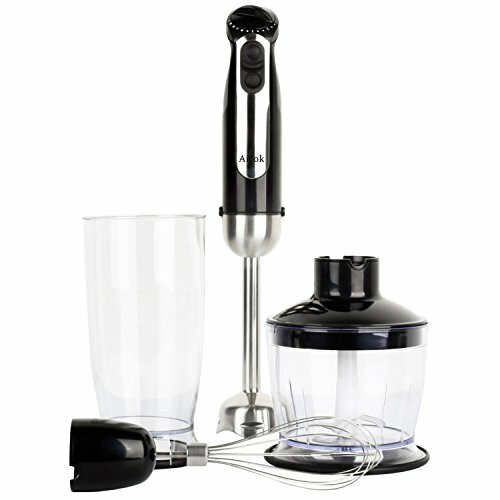 This mixer comes with beaters, a chef’s whisk, dough hooks, a spatula, and a recipe book. With these attachments, you can hit the ground running. Heavier than other hand mixers. Weighing in at 3.9 pounds, this is one of the heavier hand mixers on the market. You may want to take this into consideration if you’re going to be using the mixer for extended periods of time. 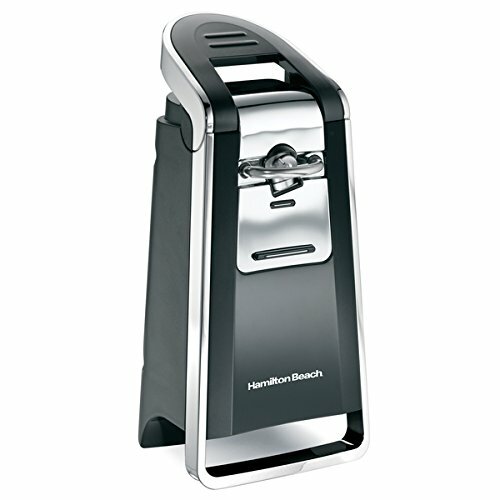 The Hamilton Beach 62682RZ is a great choice for consumers looking to purchase a budget hand mixer. With its impressively powerful motor—especially at this price point—and its versatility, this hand mixer is sure to fill the needs of most consumers without breaking the bank. Wide range of mixing speeds. Budget hand mixers don’t often include a lot of versatility when it comes to mixing speeds, which is the Hamilton Beach 62682RZ is so impressive. It offers six different mixing speeds, and it even includes a QuickBurst button, which gives you an extra boost of power when mixing heavier ingredients. Small and light. 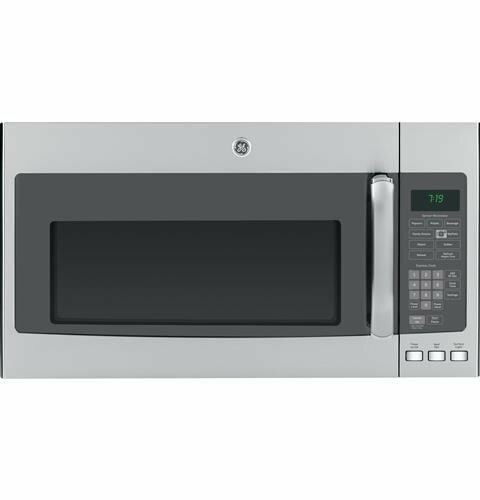 The small design of the Hamilton Beach 62682RZ makes it a great choice for those with a smaller kitchen with little storage space. It also includes a snap-on container that you can use to store all of your mixer accessories. Powerful motor. It’s also rare to find a budget hand mixer that has a powerful motor. 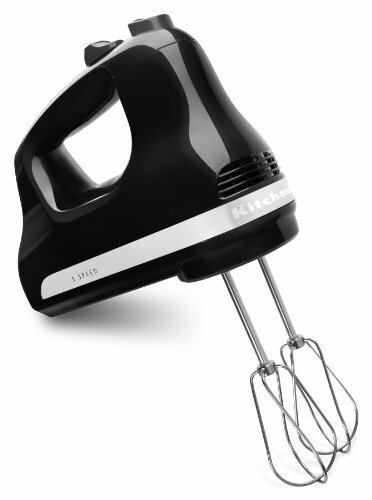 This hand mixer has a stunning 250-watt motor that can power through all of your mixing needs. The QuickBurst button uses the full capability of this powerful motor to get things mixed smoothly and quickly. Not as durable. The Hamilton Beach 62682RZ isn’t quite as durable as other hand mixers on the market, which means it might wear out sooner than other mixers. If you’re an occasional chef, you may not need a hand mixer that packs a ton of power. Light duty hand mixers typically offer fewer mixing speed options and a motor with less power, but they can still work through simple, day-to-day cooking needs. The Proctor Silex 62507 has a range of five different mixing speeds, which is impressive for a mixer in this price range. 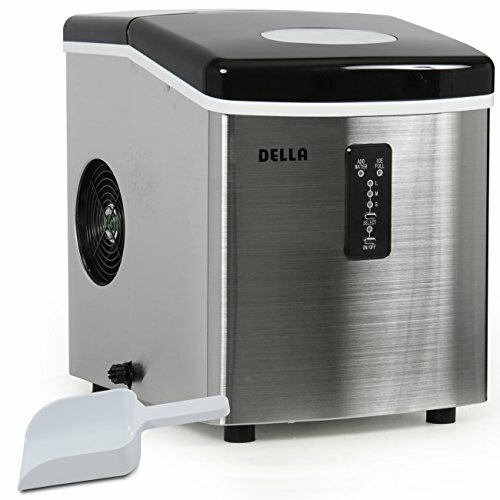 While the motor is less powerful than most on the market, it can still handle your everyday cooking needs. Flexible speed options. Many light duty hand mixers lack a multitude of speeds, offering the traditional three-speed model: low, medium, and high. However, this hand mixer offers a versatile five mixing speeds, meaning you can customize your cooking experience to fit the way you like it. Compact and convenient design. 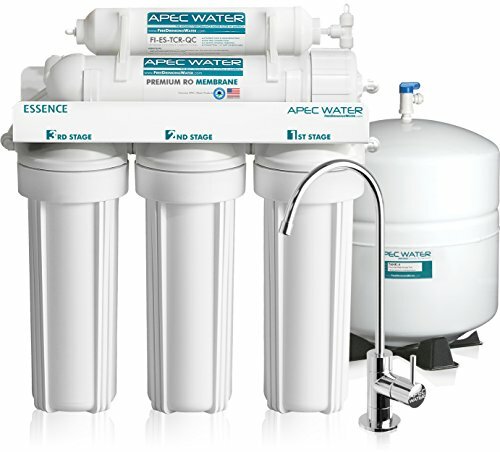 The Proctor Silex 62507 is small, compact, and stylish. If you don’t use your mixer a lot, you’ll need it to store easier, and this hand mixer doesn’t disappoint in that field. It also comes with a convenient bowl rest, which allows you to rest the mixer on the edge of the bowl, without worrying about it tipping over. Durable. Even though this is a less-expensive hand mixer, it still retains a good level of durability. It’s sturdy, although light weight, and will last a long while. This is especially true if it’s used for recreational cooking. Not the most powerful. With a 100-watt motor, the Proctor Silex 62507 is not a powerful hand mixer. 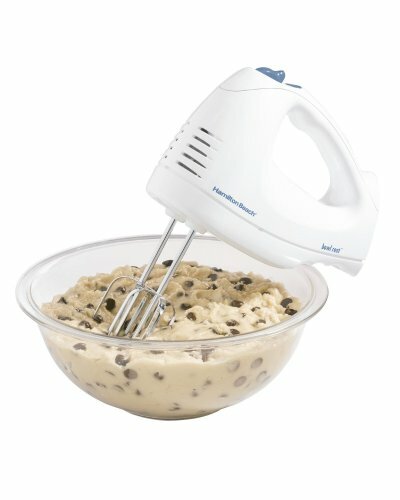 Even if you mix heavier ingredients once in a blue moon, you will likely not be able to accomplish it with this mixer. Standard hand mixers are the jacks of all trades in the kitchen business. They offer enough power to get through most, if not all, of your mixing needs. On top of that, they can typically handle some heavier stuff in the meantime, as well. KitchenAid is a well-known and reliable kitchen appliances brand, and it doesn’t disappoint with this hand mixer. The KHM512HT is powerful, sleek, and flexible. It should be able to handle most of your kitchen mixing needs without even breaking a sweat. Reliable mixing ability. With five different mixing speeds, you can tailor your kitchen experience to the needs of the recipe. The KitchenAid KHM512HT also offers a 145-watt motor, which is powerful enough to handle the majority of mixing the average consumer performs. It can handle light ingredients and heavy ingredients with ease. Sleek design. One of the major draws of KitchenAid products is their classy and creative design quality. This mixer comes in a huge range of colors. It also has a lockable swivel cord, which gives you more freedom to move around the kitchen. Quiet operation. Hand mixers can get loud, but the KitchenAid KHM512HT is one of the quietest hand mixers on the market. No extra accessories. The KitchenAid KHM512HT only comes with the standard beater accessories. This means you’ll need to purchase more accessories from the manufacturer, if you want them. If you’re looking to mix thick or heavy ingredients, such as dough or sour cream, you’ll want to consider purchasing a heavy-duty hand mixer. These mixers offer higher power, more speed options, and extra features such as more accessories or power burst buttons to get the job done. Powerful and flexible. The biggest draw for the Oster 2500 Inspire is its power and flexibility, coupled with its incredibly low price. You get a sturdy 240-watt motor with five different mixing speeds. Burst-of-Power function. This hand mixer includes a Burst-of-Power function, which is an extra feature that allows you to output higher power in particularly tough situations. Simply press the Burst-of-Power button, and you’ll experience a consistent, higher mixing speed. Impressive design quality. If you’re looking for a heavy-duty hand mixer, you’re also likely looking for something that you can easily handle during long bouts of cooking. The Oster 2500 Inspire is easy to look at and comfortable to hold with its ergonomic design. Durable. Don’t let the lower price of this hand mixer fool you. The Oster 2500 Inspire is built well and it’s also durable. It can take intense mixing sessions with ease, and it will hold up for a long time while doing it. Tips over easily. The one design flaw the Oster 2500 Inspire does have is that it tips over easily. Most hand mixers stand steadily on their square base when not in use, but this mixer struggles in that department. The VonShef Professional Hand Mixer is powerful and comes with a load of extra accessories. Top that with a sturdy and comfortable design, and you’ve got a reliable mixer. It makes a great heavy-duty hand mixer that’s sure to fit the needs of most kitchen appliance consumers. Powerful motor and good speed options. 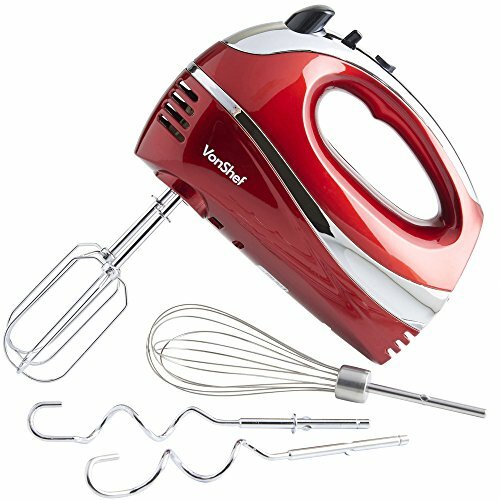 The VonShef hand mixer offers a 250-watt motor, which is powerful enough to mix heavier ingredients like dough. It also includes five different mixing speed options for greater flexibility. Finally, it has a Turbo button that you can use to give your mixing that extra boost of speed when you need it. Wide range of accessories included. Heavy-duty hand mixers need to be flexible, and they need to be able to change mixing capabilities on the fly. 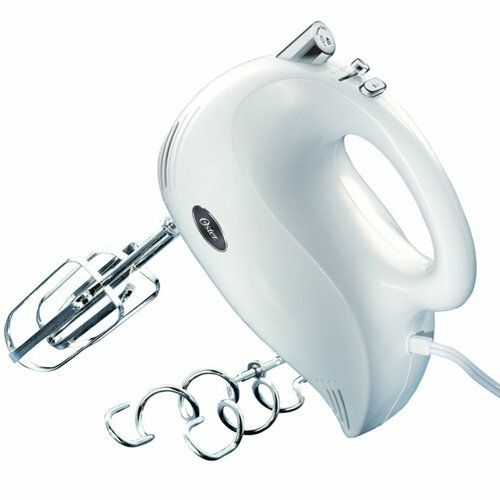 This hand mixer includes the standard beaters, two dough hooks, and a balloon whisk. This is more than most other hand mixers include out of the box. Sturdy design quality. There’s no question about it. 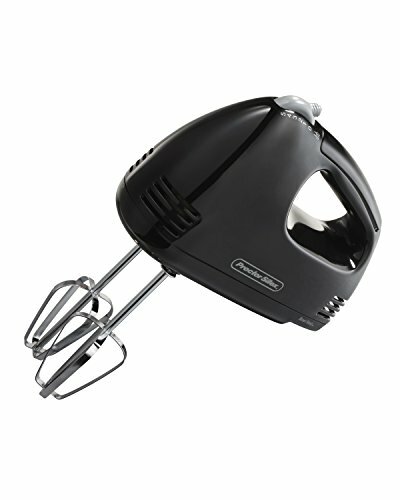 The VonShef Professional hand mixer looks sleek and stylish. It’s also designed ergonomically so it fits comfortably in your hand for extended cooking sessions. The unit is also lightweight, meaning you can comfortable mix for longer periods of times. May have too much power for some jobs. Even at lower speeds, this mixer may seem a little too powerful for some applications. Immersion mixers are a newer breed of hand mixers, and they typically offer a little more versatility than traditional hand mixers. These mixers are more often used for blending or pureeing ingredients, but they still serve well as normal mixers, too. The Aicok Immersion Hand Blender is stylish, flexible, and very powerful, making it a versatile choice for consumers looking for more than just a hand mixer. With added functions such as food processing and blending, this hand mixer can take on more responsibility in your kitchen. Powerful. The Aicok Immersion hand blender mixer is powerful than most hand mixers, coming in at a whopping 350 watts for its motor. This allows it to process and blend food more than traditional hand mixers, but it still gives you the power and flexibility you need to for mixing purposes. Flexible. This hand mixer offers a 4-in-1 functionality, including the ability to blend, chop/process, mix, and mince food. 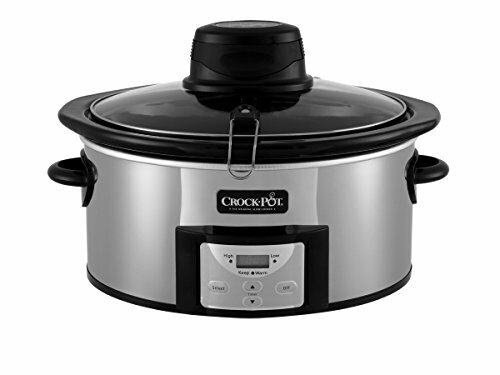 It offers five different mixing speeds so you can tailor your cooking experience to the recipe you are trying. Ergonomic design. Immersion hand mixers also differ from traditional hand mixers in the way that they are designed. The Aicok immersion blender mixer is designed to fit comfortable in your hand, much like a mixing spoon would, which allows you to use it with ease. Best for liquid and light ingredients. While this hand mixer opens some doors, it closes others in the process. The Aicok immersion blender mixer cannot handle heavy ingredients such as dough and sour cream. That kind of mixing is more suited to traditional hand mixers.